Bear Creek Arsenal makes very high quality barrels. Made out of premium 416R Stainless Steel for enhanced corrosion resistance and accuracy. 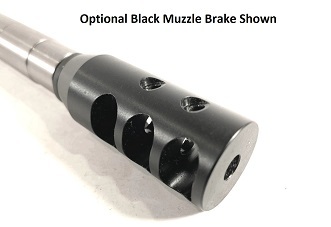 *Optional* - Upgrade to a USA made Black or Stainless Competition Muzzle Brake. 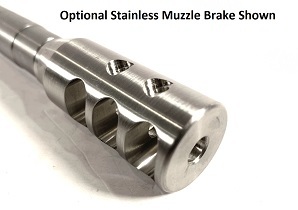 This is an enhanced version of the popular style muzzle brakes. The baffles and ports are milled larger to drive pressure up and to keep the muzzle down more effectively.